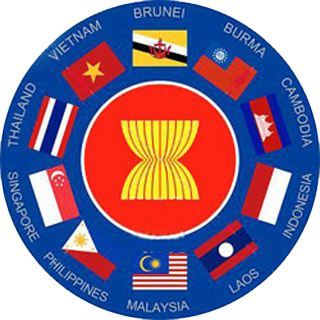 AEC (ASEAN Economic Community) is the integration of the ASEAN nations which include Thailand, Myanmar, Laos, Vietnam, Malaysia, Singapore, Indonesia, Philippines, Cambodia and Brunei in order to gain common economic benefits, similar to the Euro Zone. It will have beneficial effects, increase bargaining power with partners and allow free import and exports between the ASEAN nations, except for certain products (called sensitive products) that each country may request to not reduce import tariffs. ASEAN will unite as the ASEAN Economic Community on 31st December 2015 and will change the region drastically. - Freedom for investment. Anyone can invest anywhere. For example, countries with a good education system could open a school in our country. It may make the schools expensive but the poor quality must be reformed otherwise we cannot compete with others. - Thailand will be the centre for tourism and aviation as we are in the middle of ASEAN. It will probably be significant for hosting meetings, exhibitions, a distribution hub and transportation due to its central location within ASEAN. Medical and health services will also grow significantly because the promotion of this industry can be incorporated with tourism (Medical service of foreign countries have very high prices compared to Thailand). - Trade will grow by at least 25% in some parts of the industry such as, automotive, tourism and transportation. However, the industry that is of concern in Thailand is the labour-intensive sectors such as agriculture and construction. The textile industry could also be affected as production may move to countries that can produce alternative products. Investors may move their production bases from Thailand to other countries with cheaper labour as some businesses do not require skilled labour (as of 15 September 2013, the wage of a factory worker in Laos is equivalent to about 4,000 Thai Baht). - The English language will become very important as many ASEAN nationals will come to stay in Thailand who cannot speak Thai, but will speak English. The AEC has set English as the standard language for communications in the AEC. Sometimes we may lose confidence when a Thai person speaks to someone in Thai but they reply in English. There will be an increase in English within the surroundings, such as signs, newspapers and other media (see Suvarnabhumi Airport for example), and also a vast range of language schools and courses. - There will be bustling trade along the borders as there will be much less roles for border customs but this could increase drug problems and social issues. - Thailand will no longer lack unskilled labourers as they will be able to move around freely. 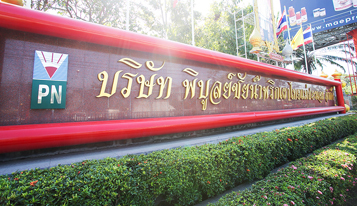 There will be an increase in Burmese, Laotians and Cambodians working in Thailand. However, some may see this as a threat as it could bring social problems and an increase in crime. The government will need to plan for coping with these issues. - Some Thai people with knowledge of the English language may be inclined to work abroad, especially those in the software industry (which Singapore will be the main spearhead) because even though Thai people are talented, wages are currently very low, therefore they will want to move to Singapore. However, there will also be many foreigners coming to work in Thailand, with the possibility of talented Burmese or Cambodians working for us using English as the standard language. Software companies in Thailand may need to adjust pay to be able to compete with influential foreign companies. - The hotel, tourism, restaurant and car hire industries by the borders will become much busier due to increased traffic and these areas will gradually develop and improve as they are transit points. - Public service in Thailand would need to be well prepared otherwise it could face potential shortages, for example, the Burmese may give birth in Thailand and will need to use the Thai hospitals. - Bangkok will become heavily congested as it becomes the centre of ASEAN and is Thailand’s capital city. As more foreigners come to set up their offices in the city, there will be a lot more traffic congestion and Suvarnabhumi Airport will also become heavily congested (there are already plans to expand the airport). - Thailand will become the global hub for food production because we have vast knowhow, experience and food companies in Thailand are very strong. It is the perfect location, despite Myanmar’s emphasis on agriculture. However, Thailand will also go to invest in agriculture and exports in Myanmar. It is an industry that Thailand is already very experienced. - Undoubtedly, Thailand will be the central hub for tourism and transportation. If companies in Thailand within these industries can adapt and prepare well, then they would benefit from being the centre for the tourism and transportation trade. - Social problems could be a major issue if not planned well due to increase in waste and racial issues. If Thais work with foreign workers who are considered inferior it may cause racial segregation which could lead to slum communities and create Myanmar Town, Laos Town, Cambodia Town, and cause severe crime. Crime statistics will increase significantly from problematic communities. Illegal activity would increase due to ignorance of the laws. There will be changes in transportation. The East-West Economic Corridor (EWEC), Route 9 (R9) will transport from the sea port from either the right-side or the left-side banks. Vietnam – Thailand – Myanmar has a distance of 1,300km, of which 950km is in Thailand, 250km in Laos and 84km in Vietnam. The route starts at Da Nang in Vietnam, through Hue and Lao Bao, then Savannakhet Province in Laos, over Friendship Bridge 2 (Mukdahan -Savannakhet) across the Mekong River in Mukdahan Province in Thailand, passing through Kalasin, Khon Kaen, Phetchabun, Phitsanulok provinces and ending at Mae Sot District, Tak Province. Then it continues through Myanmar to the Gulf of Martaban in the city of Mawlamyine or Moulmein where there is a connection from the South China Sea to India. 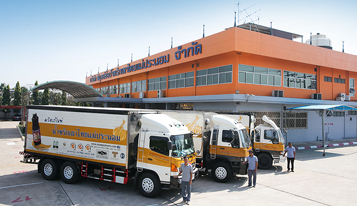 Route R9 will expand transportation and logistics in the AEC and because Thailand is in the middle of the region, it will increase sales as we will be able to transport goods to the ports from both, the left or the right-side banks of Thailand. The value of the land and property within these areas should also increase. Myanmar has plans for a large construction project or “Dawei” project (The Italian-Thai Development PLC is already contracted for the construction of a large industrial centre and large port. However, development has been put on hold as they are waiting for joint investors to develop the project since 27th April 2014). The project aims to build a deep-sea port in Dawei and an industrial estate of approximately 250 sq m in Southern Myanmar with further plans to build a steel mill, fertilizer plant, coal plant and oil refinery. The Dawei project would run in line with the East-West Economic Corridor as it will be a new and important access point to the sea for ASEAN. In the past, access to the Indian Ocean was reachable from the Singapore port only. The Dawei project would also be a way to bring products coming from India, Europe and the Middle East, especially those from the energy sector, be it oil or gas, which could be imported and processed in the petrochemical plants in the Dawei project and then transported through Thailand to the Indo-China countries, via Laos, Cambodia, then to Da Nang in Vietnam and then exported to East Asia, such as Japan and China. The most important point we should be preparing for is the English language, so at least we will be able to communicate with ASEAN because if we cannot communicate, everything else would become difficult and to find customers only within Thailand will not be enough as foreign businesses will also take some of our market share. The integration of the AEC will have a huge impact and both Thai people and businesses will need to be well prepared and be able to adapt.